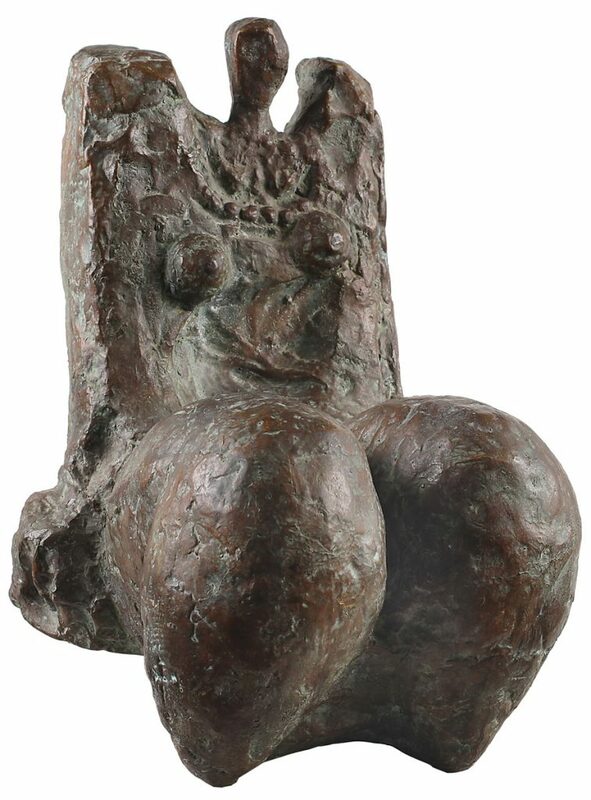 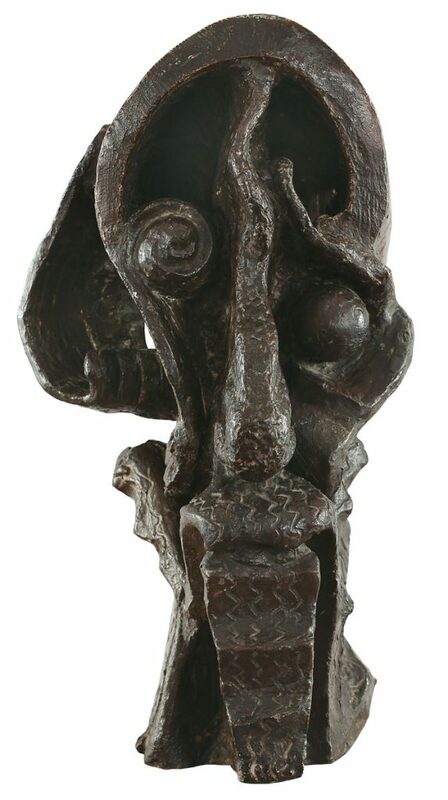 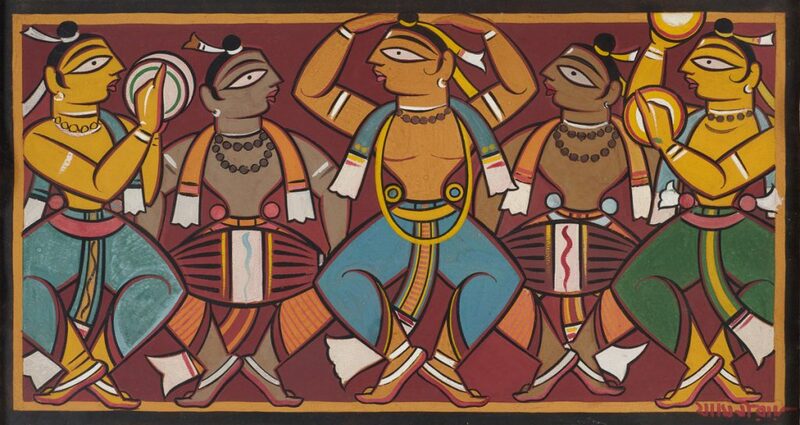 The contribution of the first renaissance capital of the country – Bengal – to Indian art and its development is longstanding, enormous and continued. 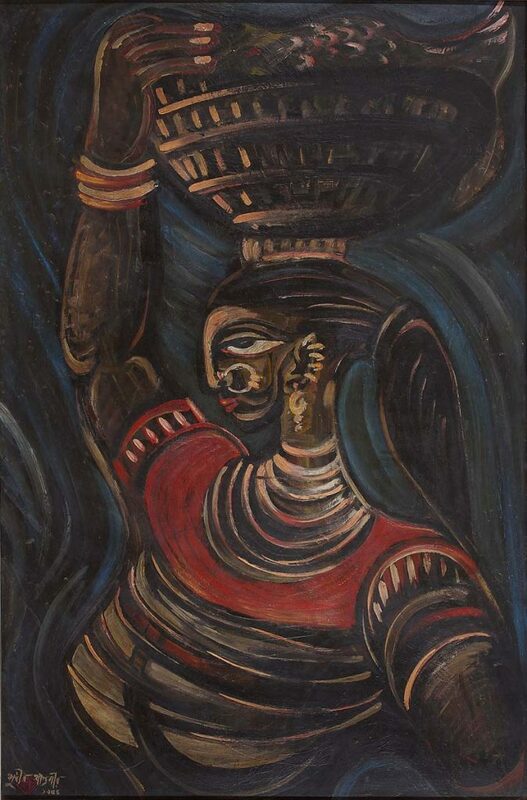 As one of the largest repositories of Bengal art of the past two centuries, DAG is extremely pleased to announce its major exhibition. 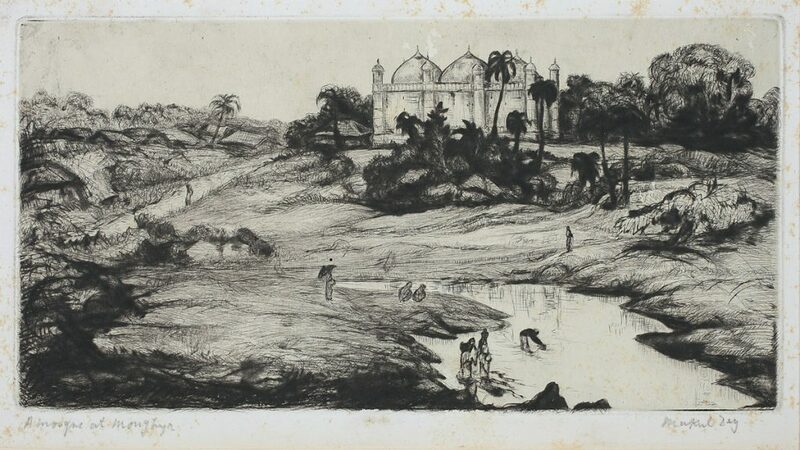 Documenting the unique cultural efflorescence in Bengal begun over two centuries ago, the exhibition begins in the 19th century when local, folk artists began creating their paintings on mythological and religious themes traditionally done on cloth, known as Kalighat pats, now on woodblocks printed on cheaply available paper. 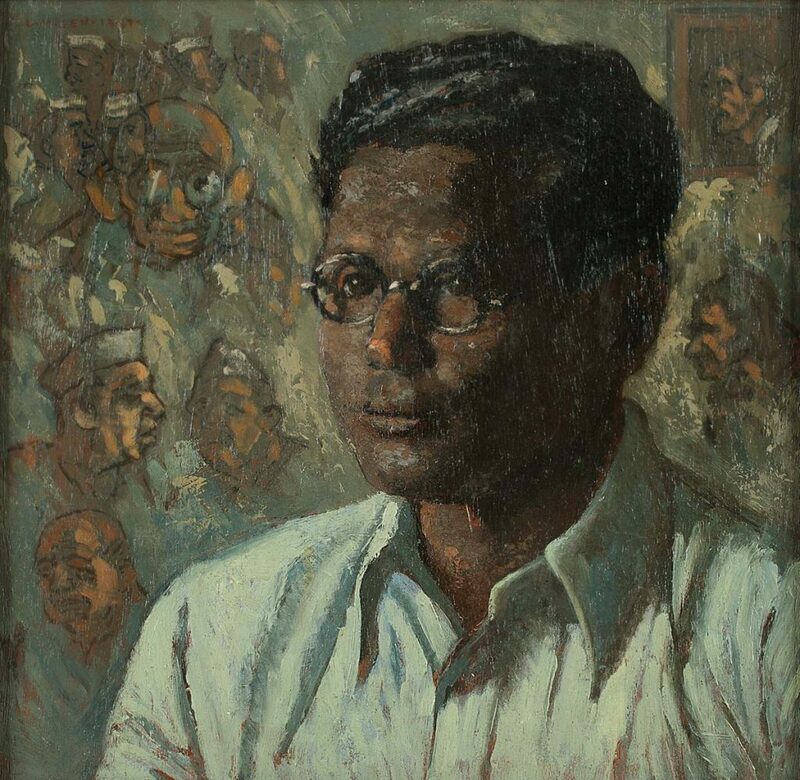 The century-long presence of European painters in Bengal began to influence local art making practice and aesthetics and vice-versa, resulting in interesting blends of academic oil portraiture and traditional Indian art, seen in the two portraits of Indian nobleman by English artist Benjamin Hudson featured in the exhibition. 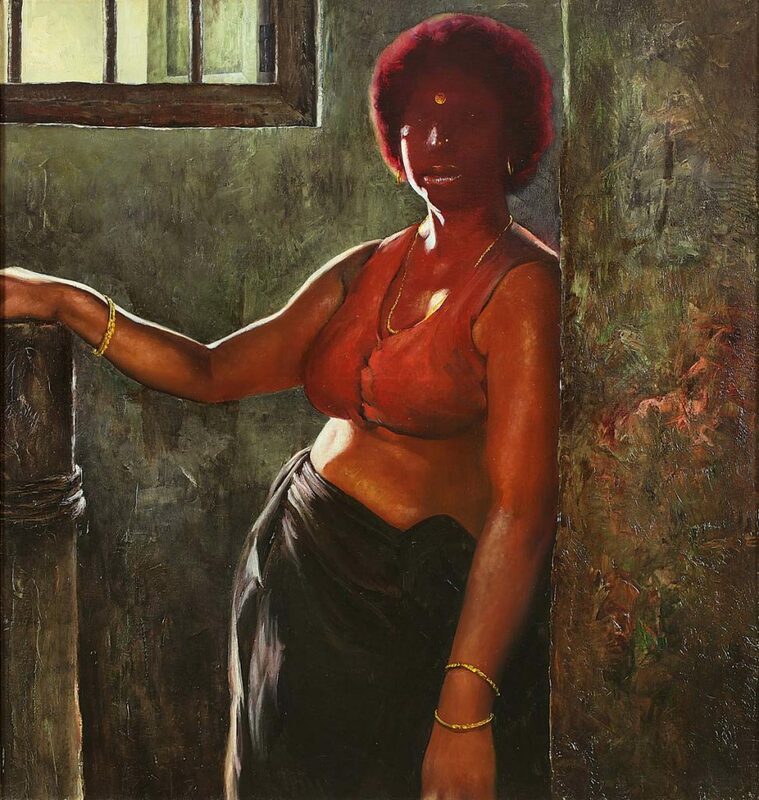 By mid-19th century, trained local artisans began creating paintings with religious iconography using oil painting and the till then-absent perspective, termed Early Bengal Oils. 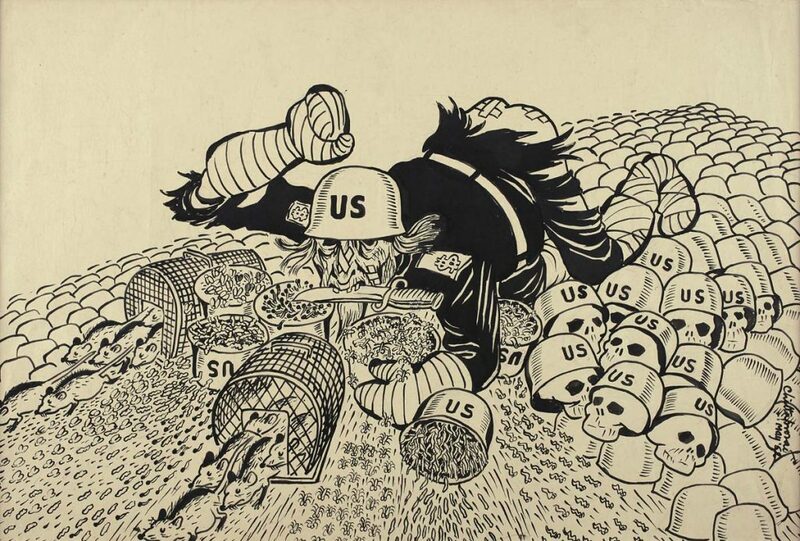 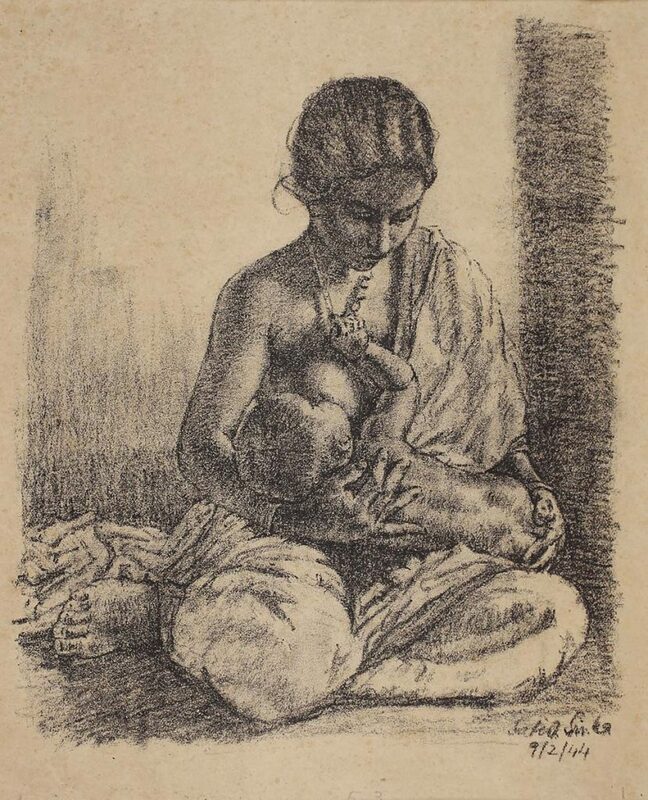 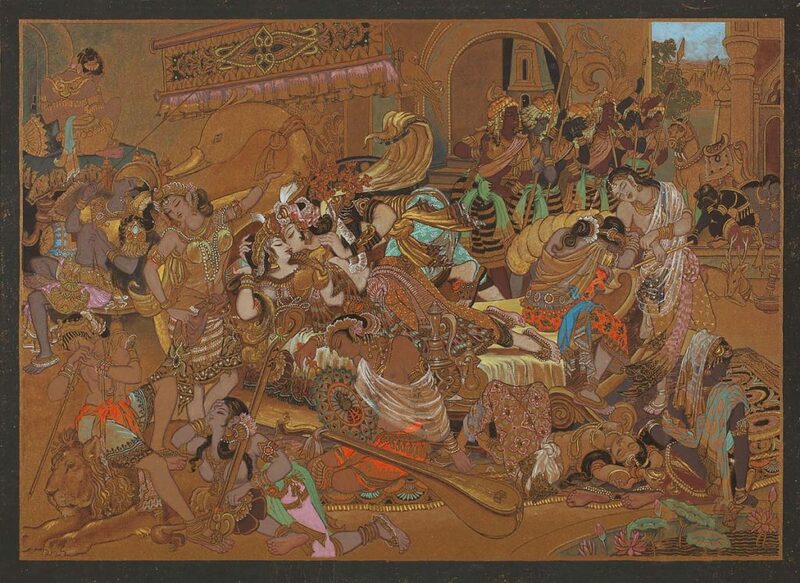 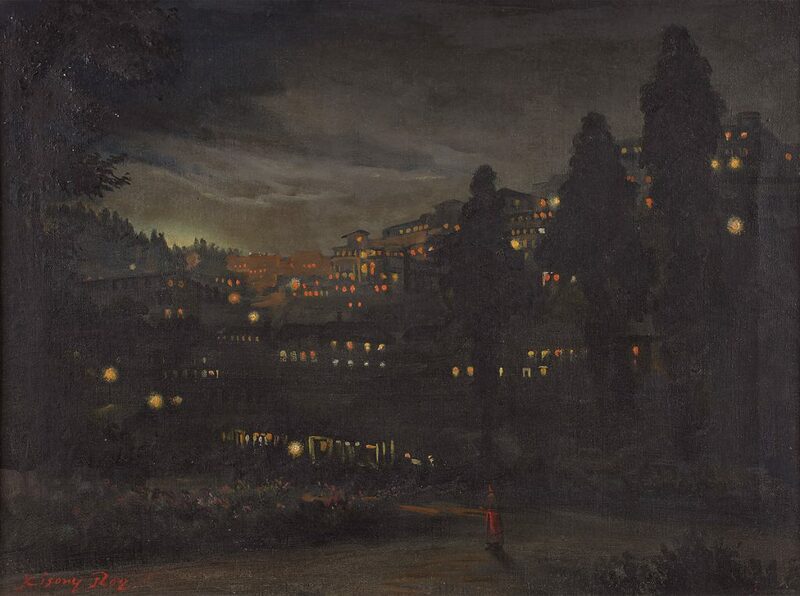 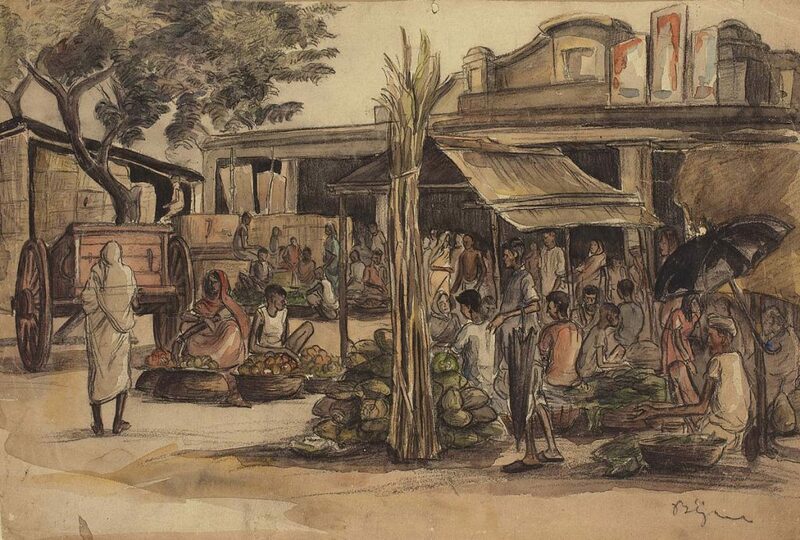 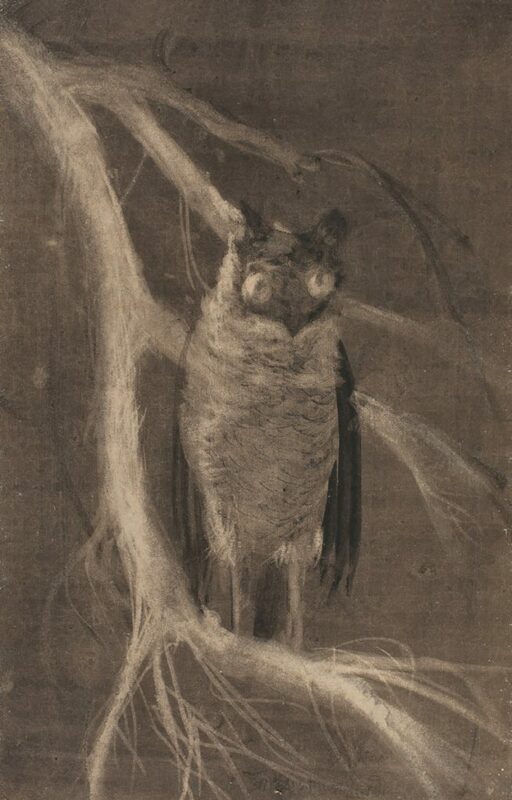 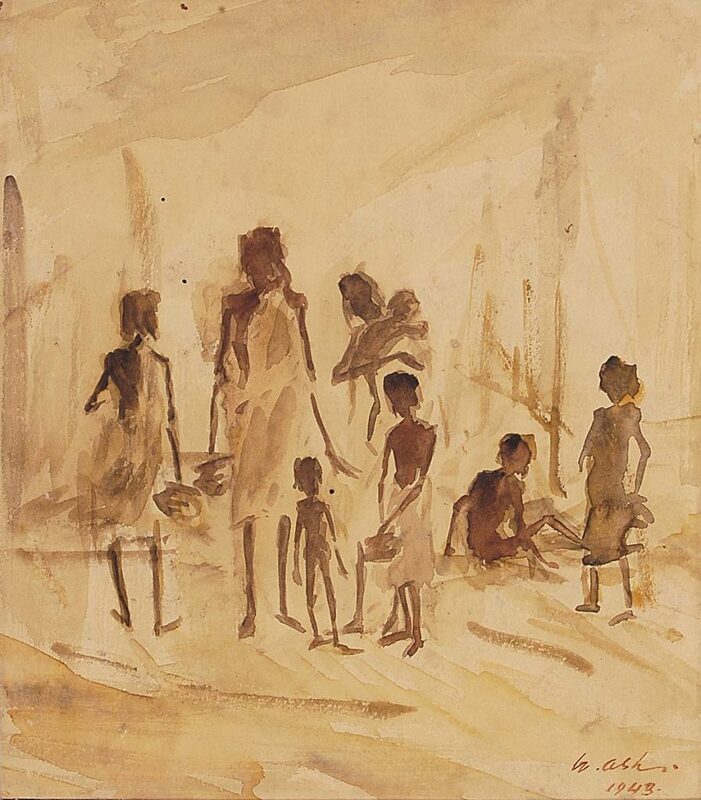 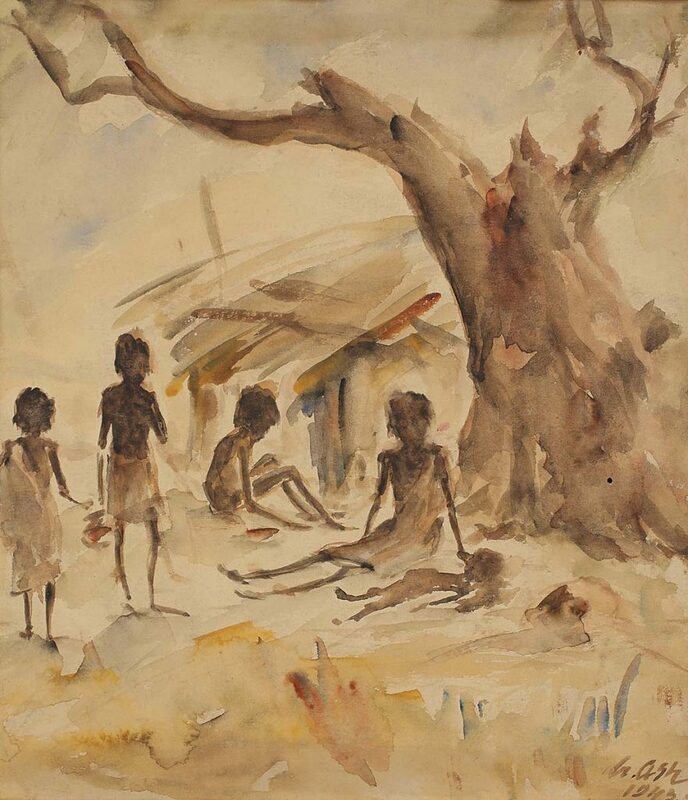 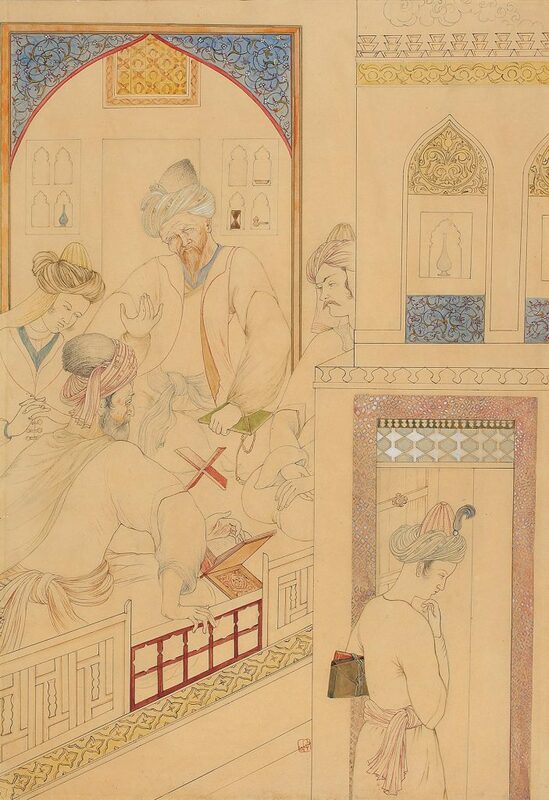 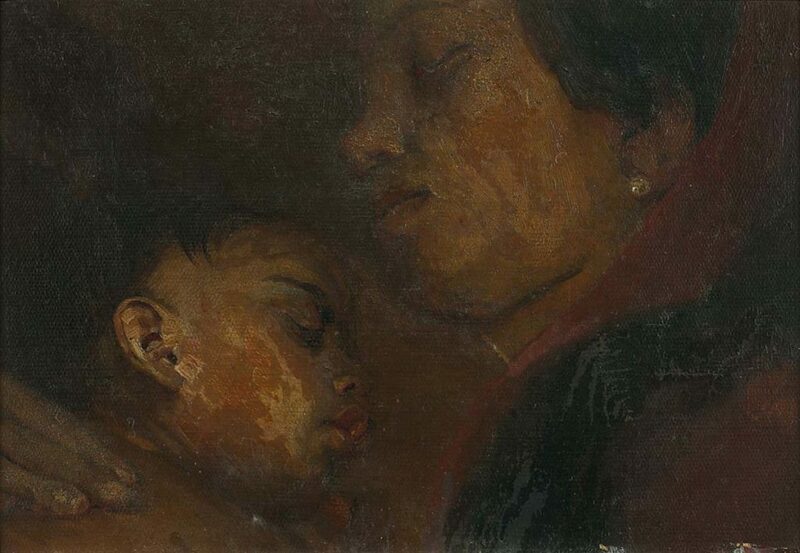 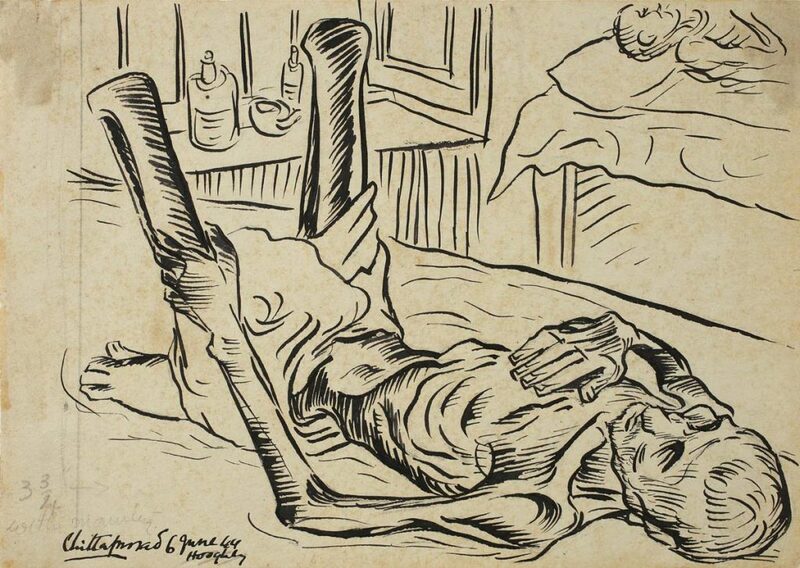 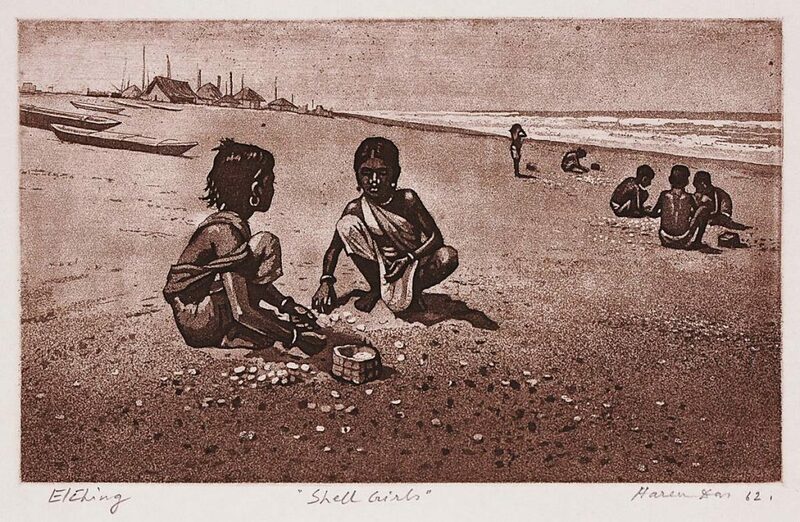 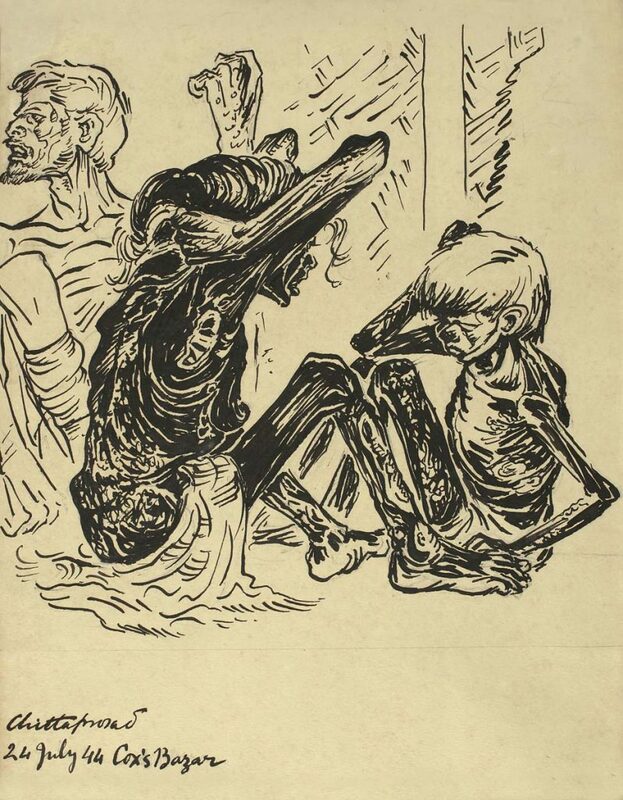 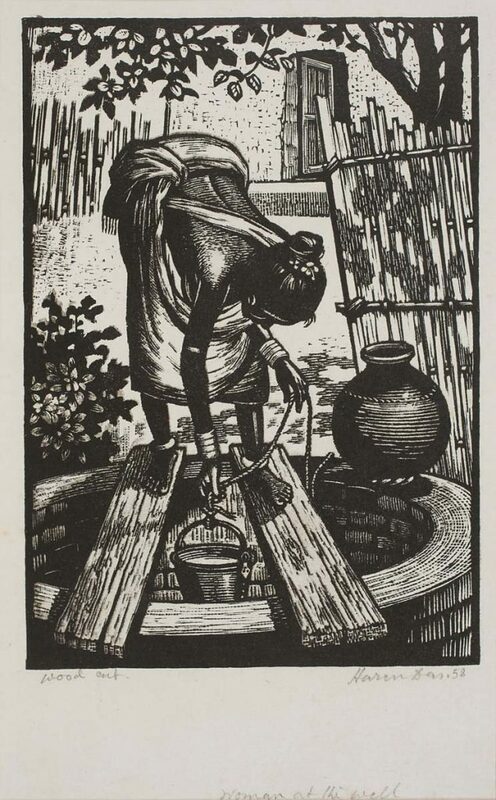 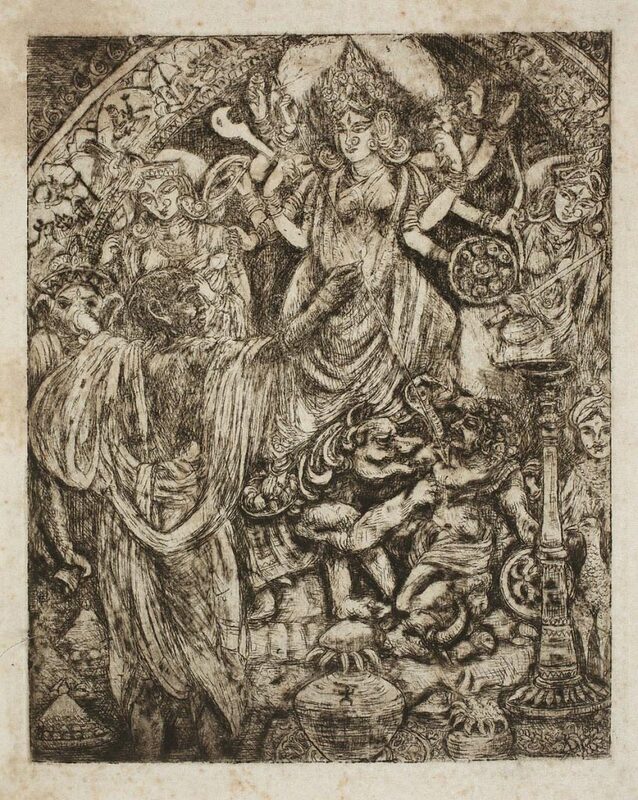 The exhibition features several of these, and similarly themed works by academic school trained individual artists such as B. P. Banerjee, leading to the work of salon and ‘gentleman-artists’ produced by the newly-emergent art schools and institutions in Calcutta in late 19th-early 20th century, such as J. P. Gangooly. 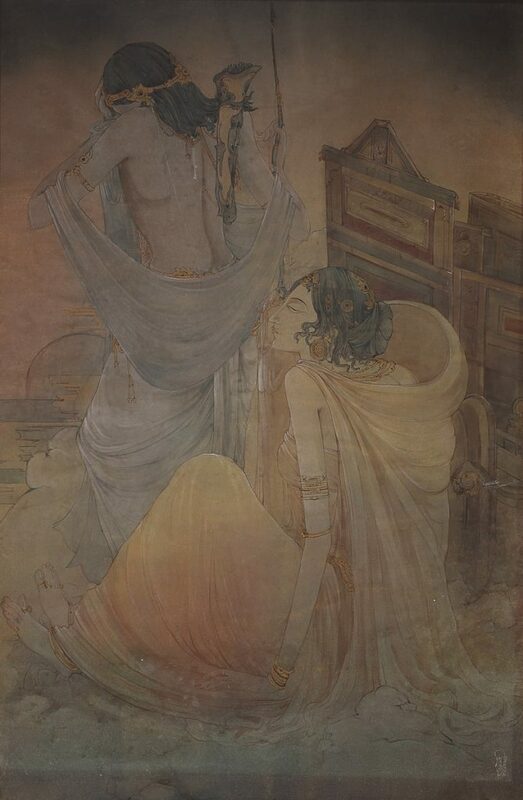 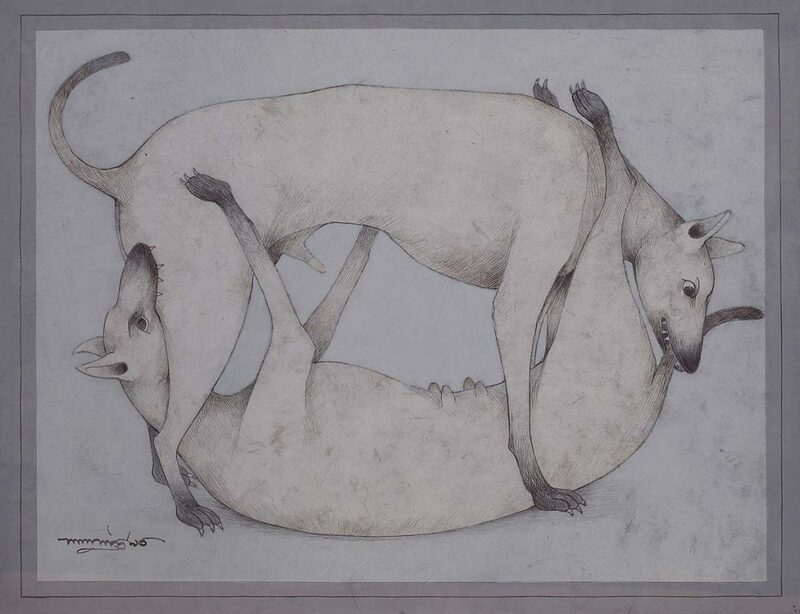 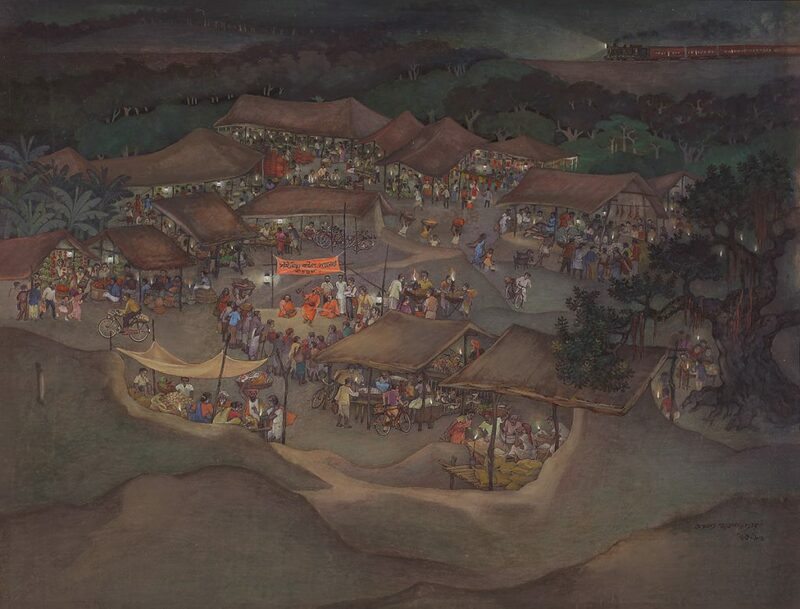 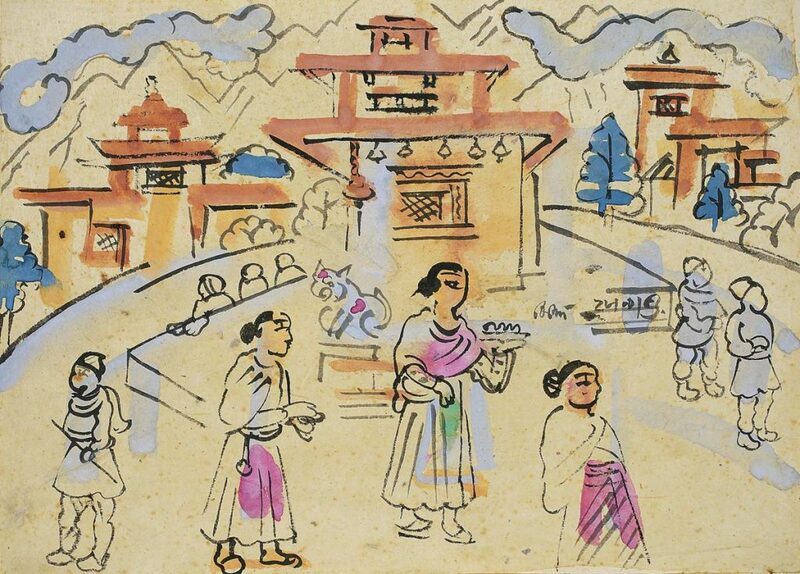 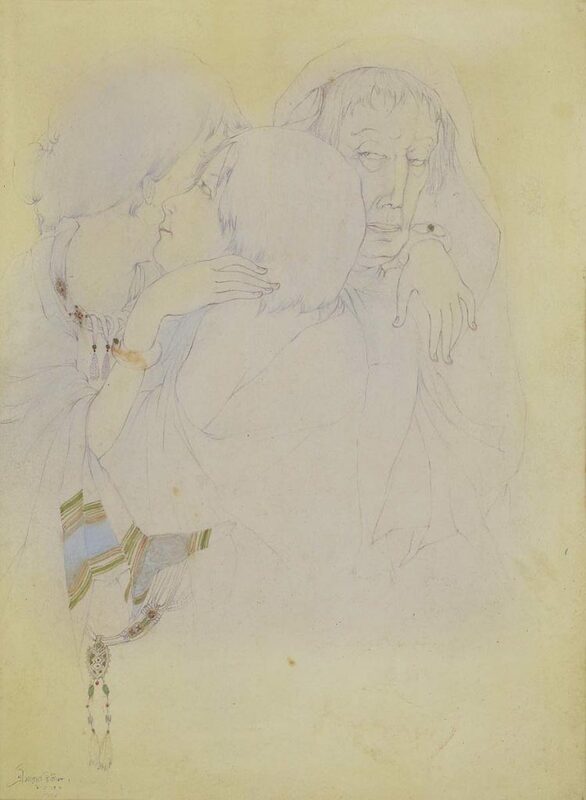 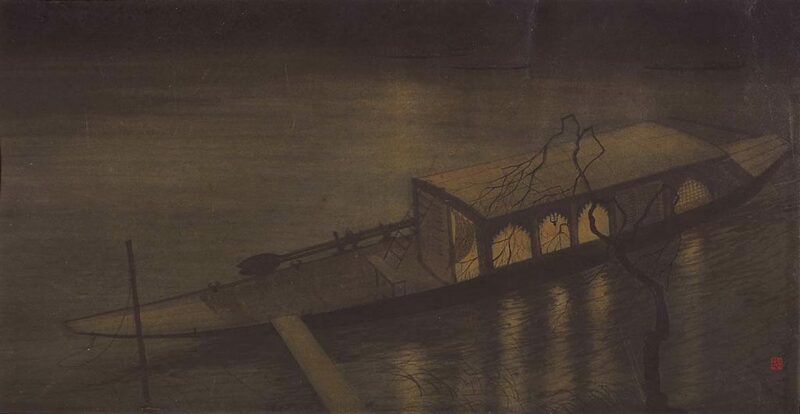 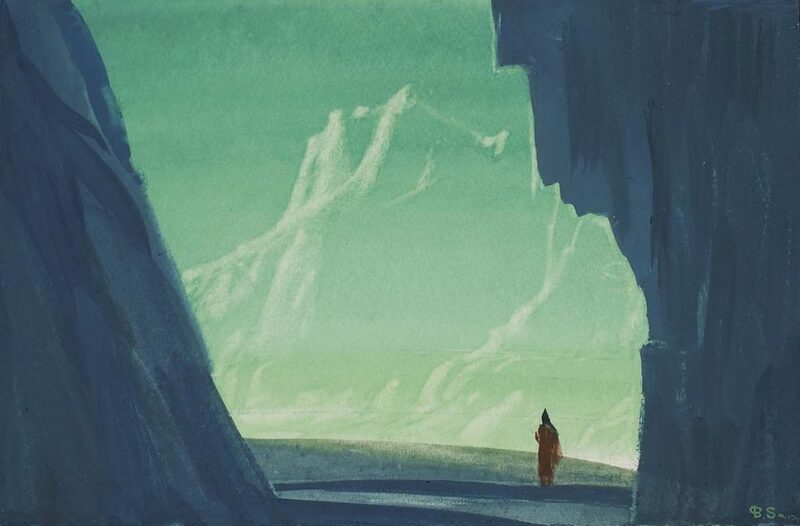 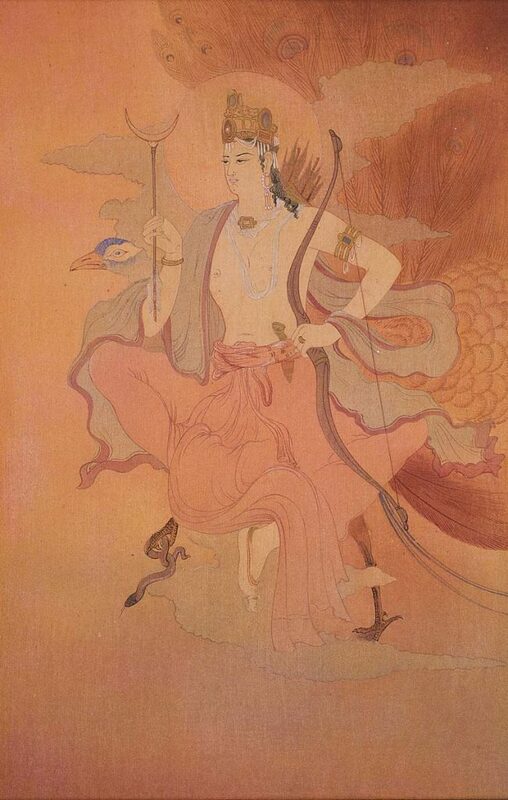 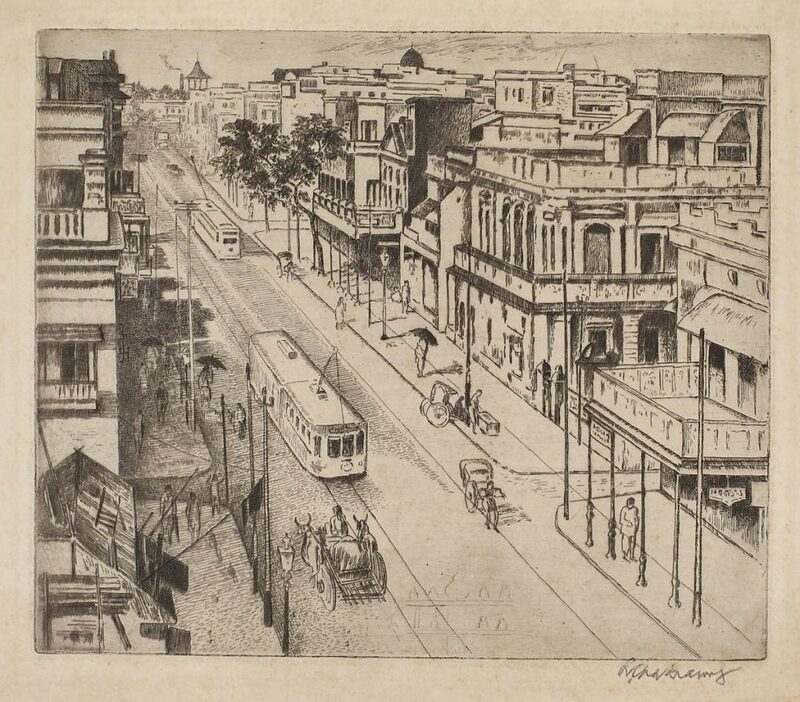 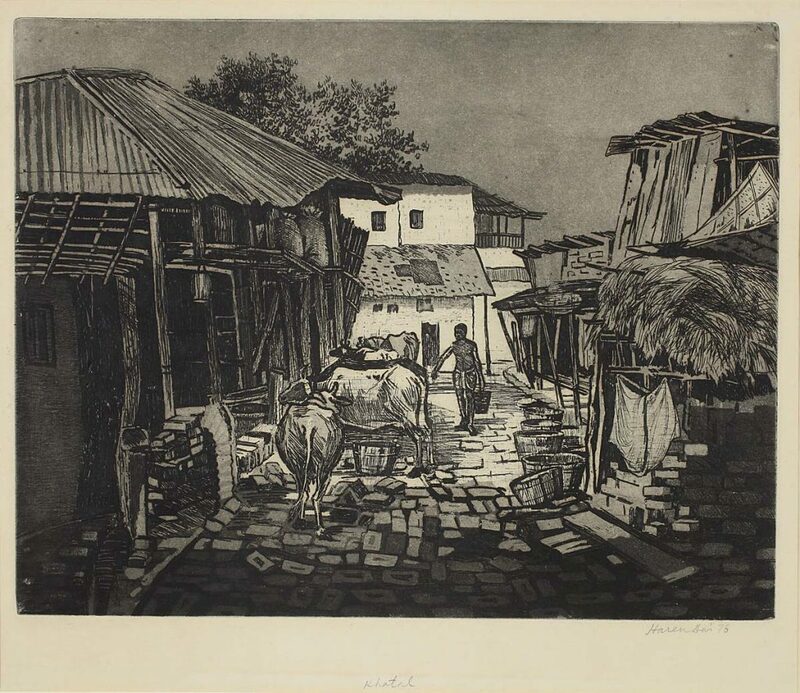 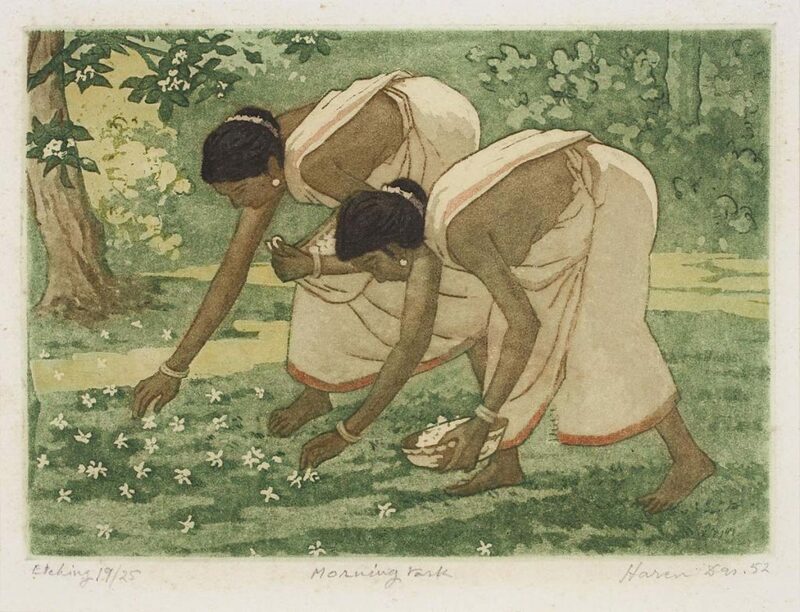 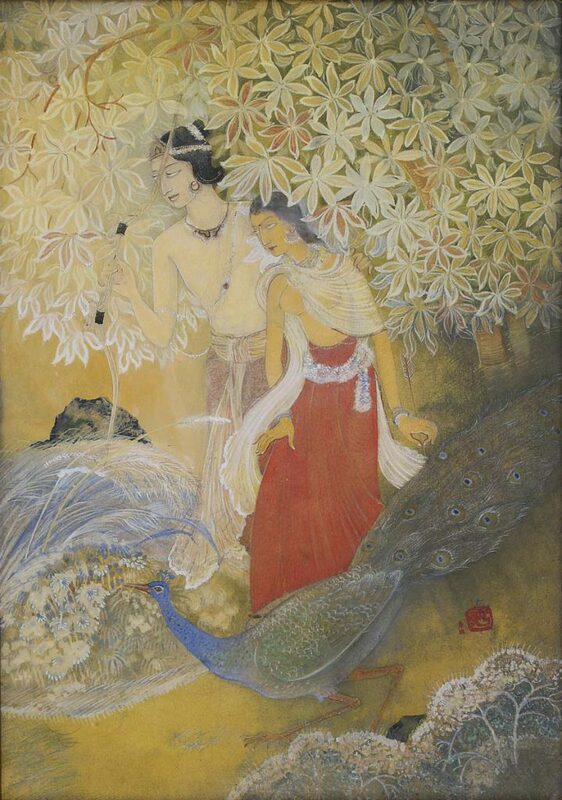 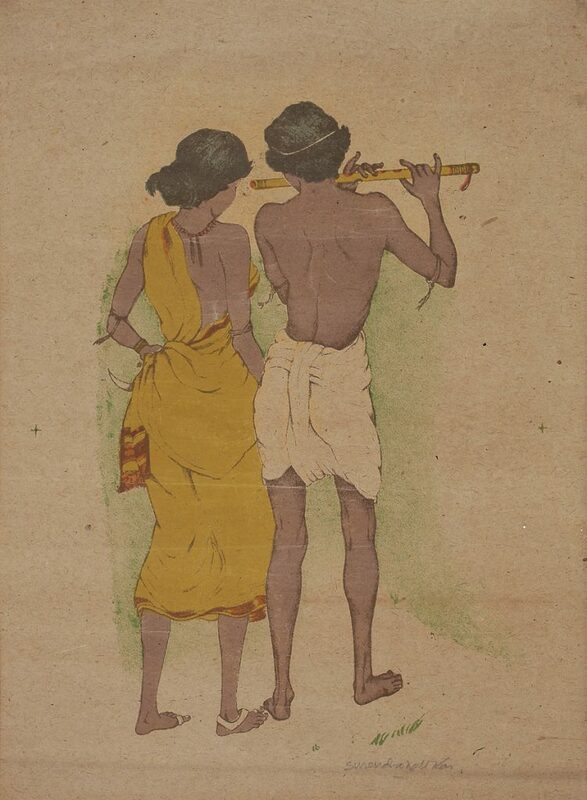 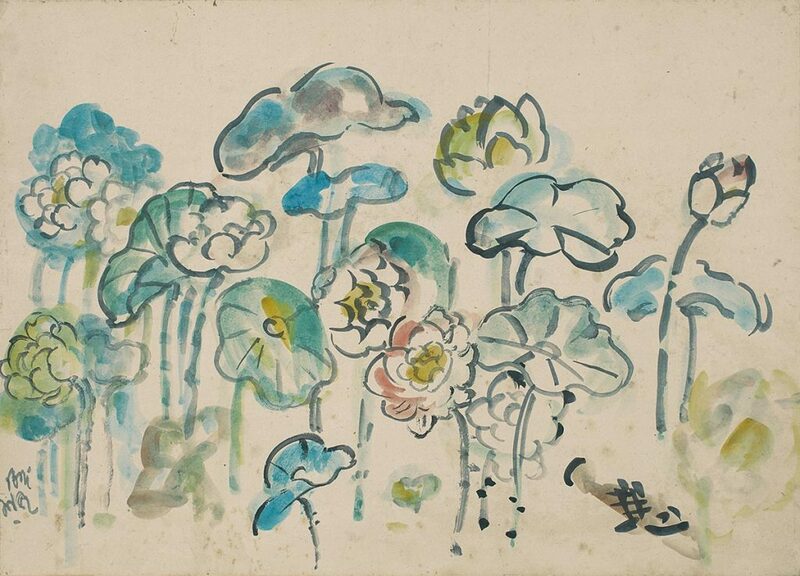 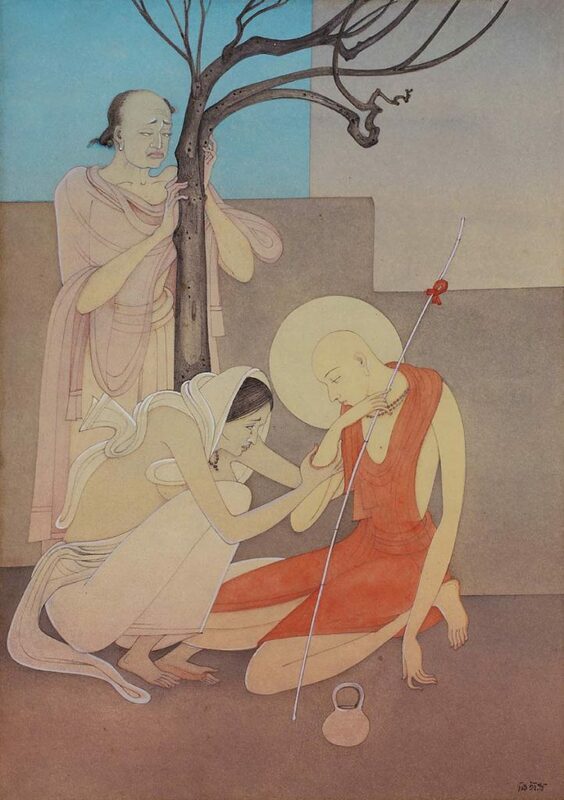 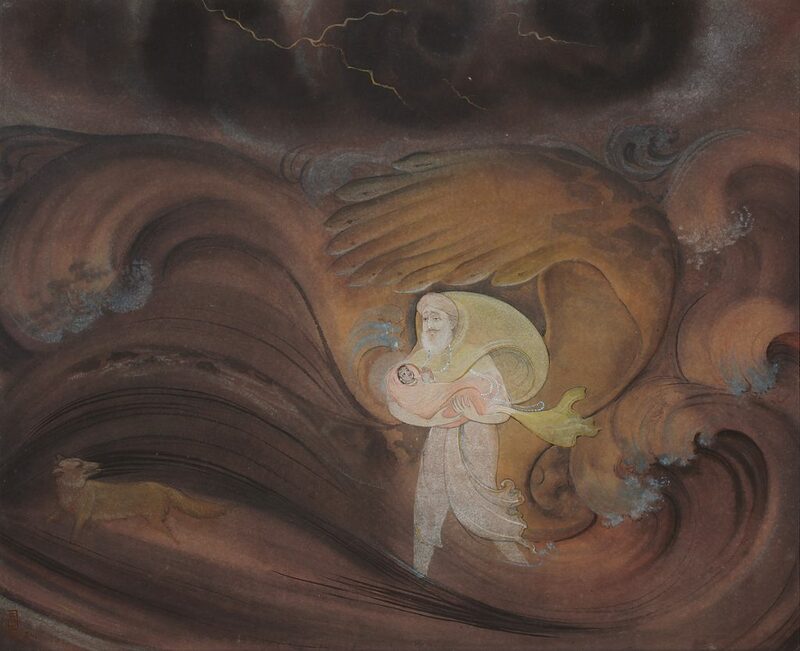 The school known as Bengal School with its dreamy, romantic imagery using the technique of watercolour wash is represented substantially in the exhibit, featuring the works of Abanindranath Tagore, Nandalal Bose, Asit Haldar, Kshitindranath Majumdar and D. P. Roy Chowdhury. 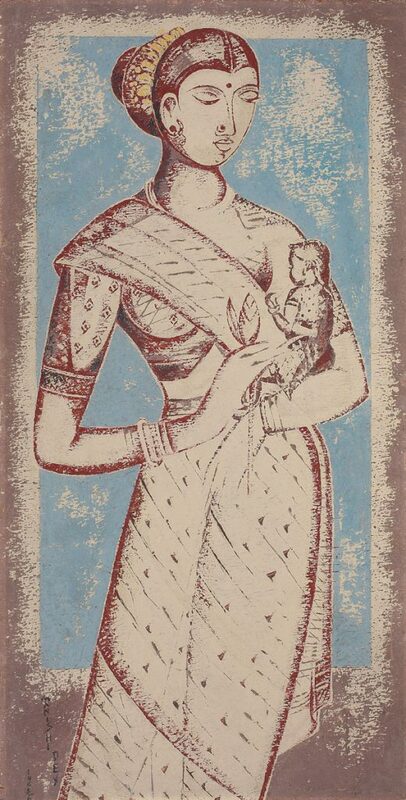 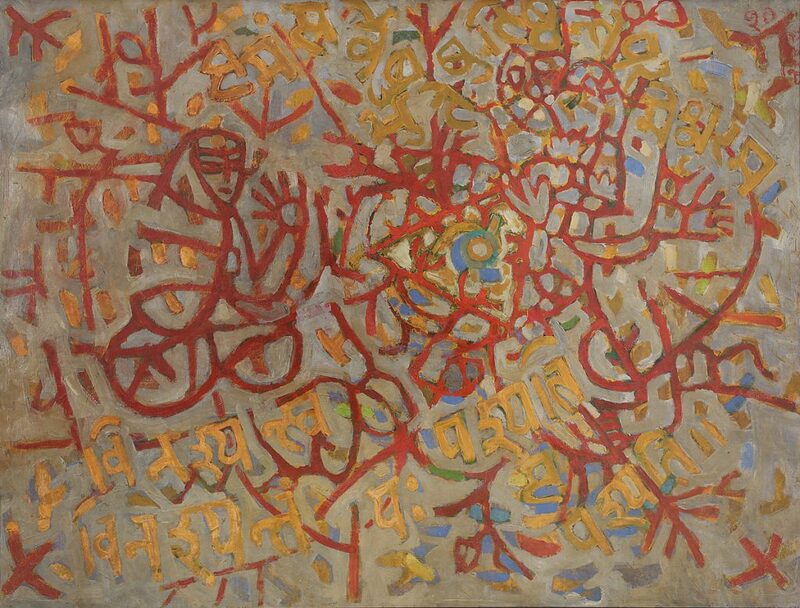 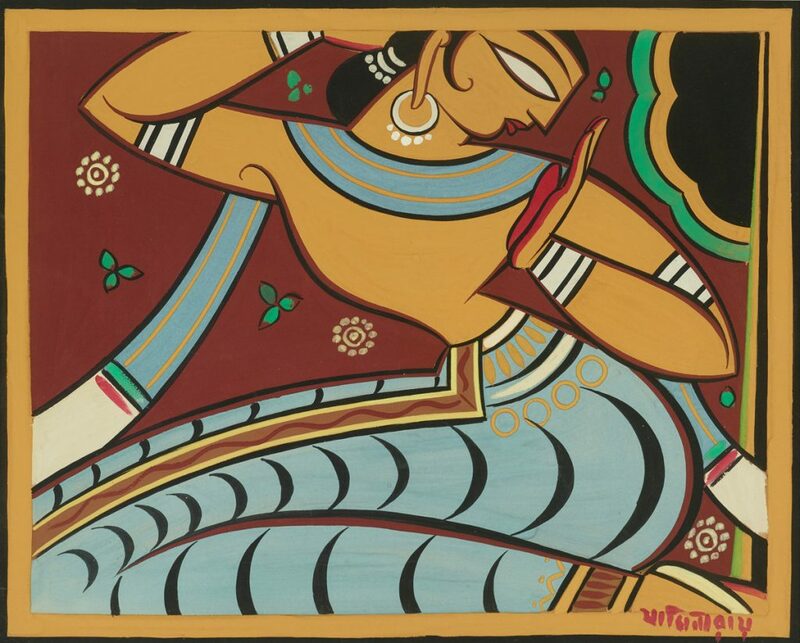 The artists of the 1930s and 40s rejected this school in favour of a new, robust Indian art. 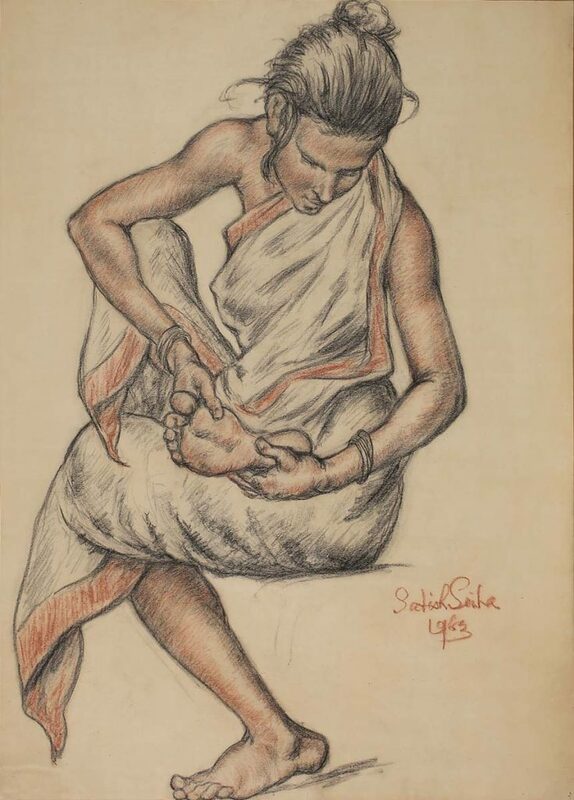 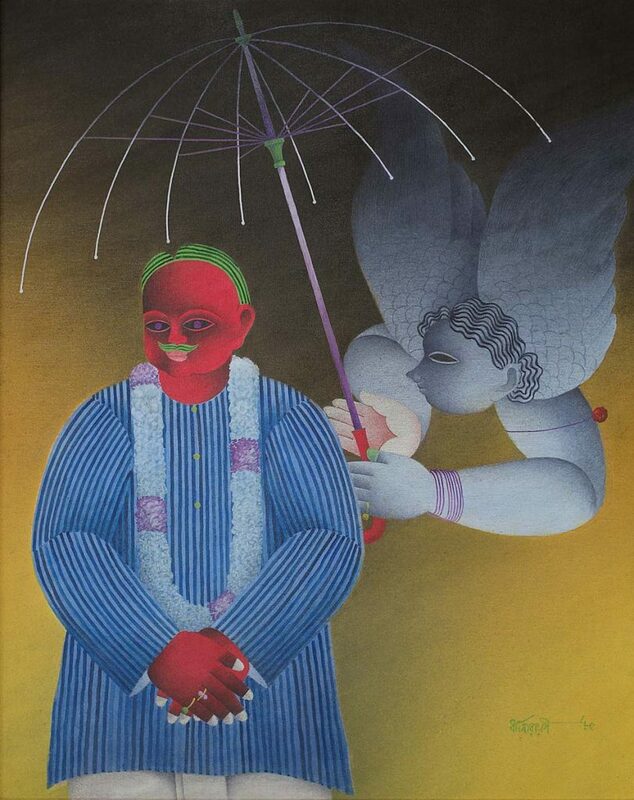 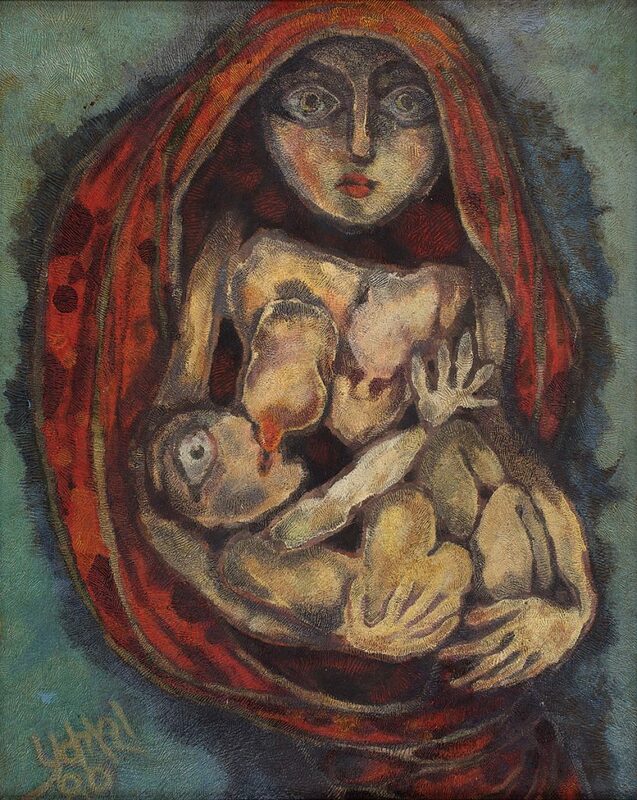 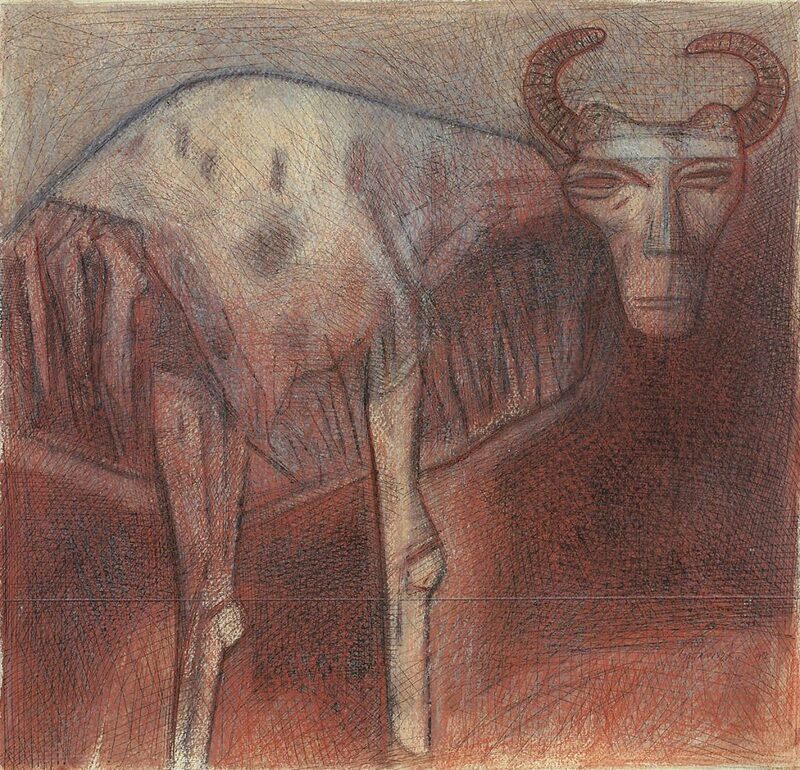 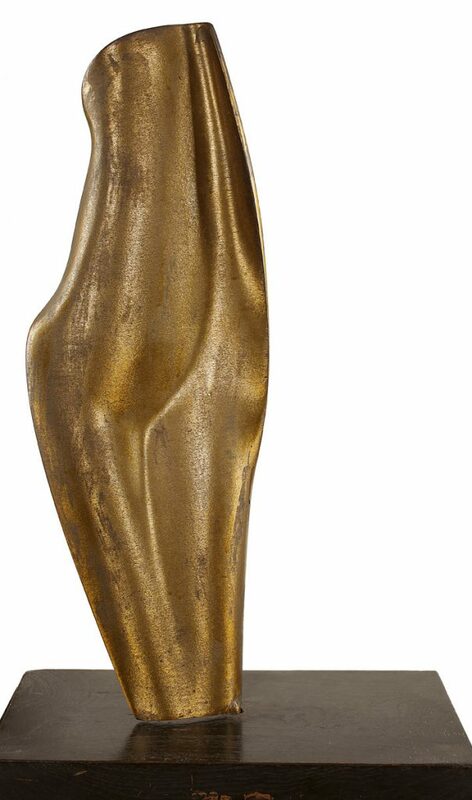 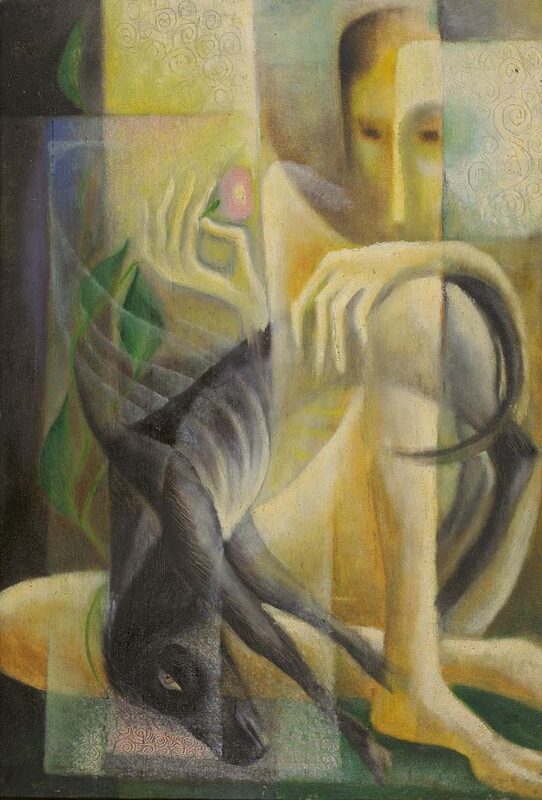 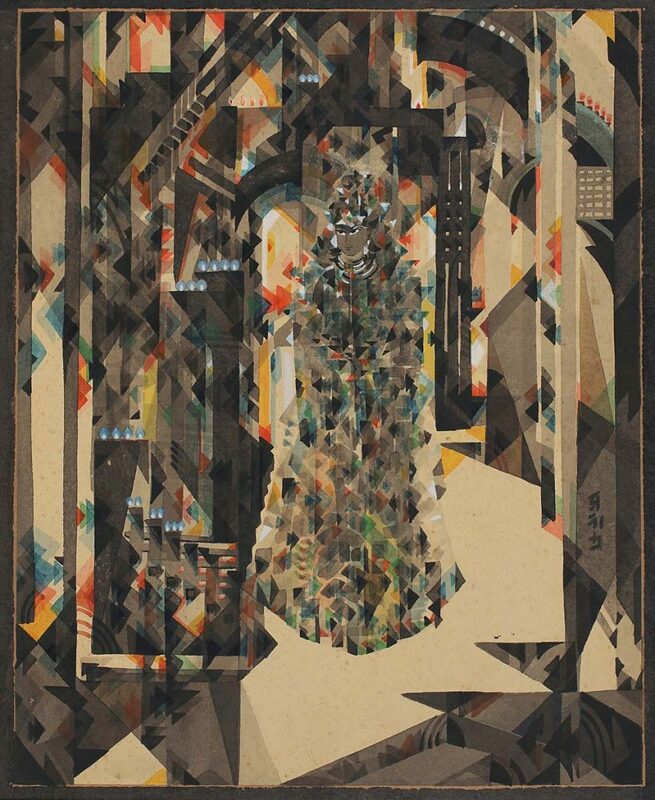 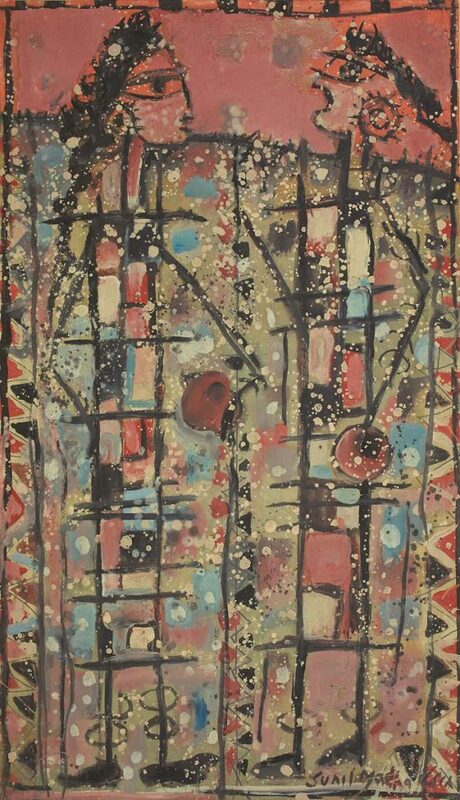 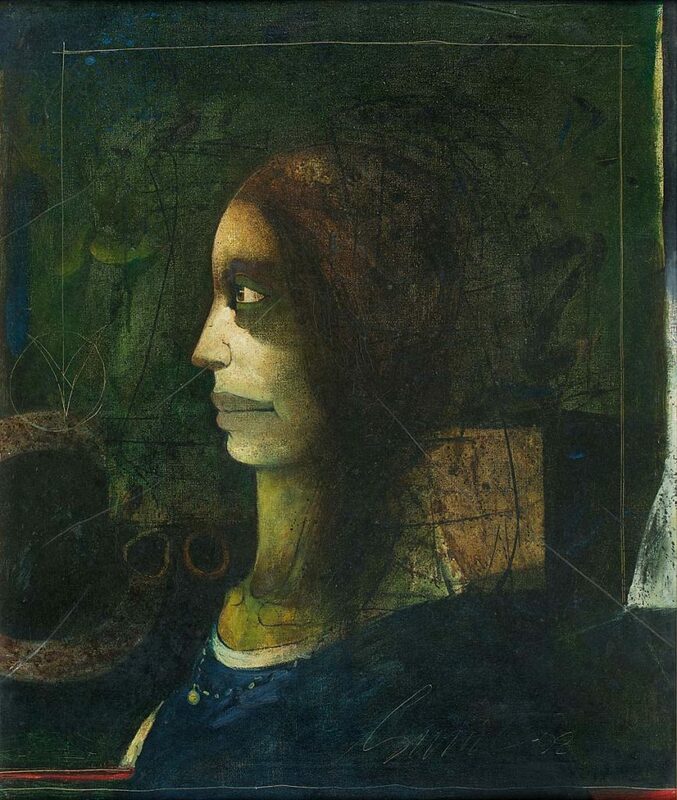 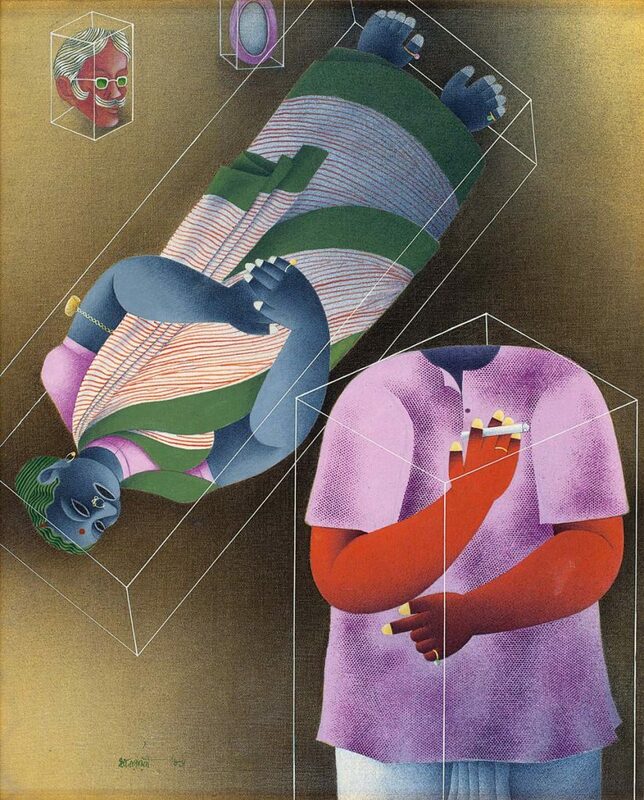 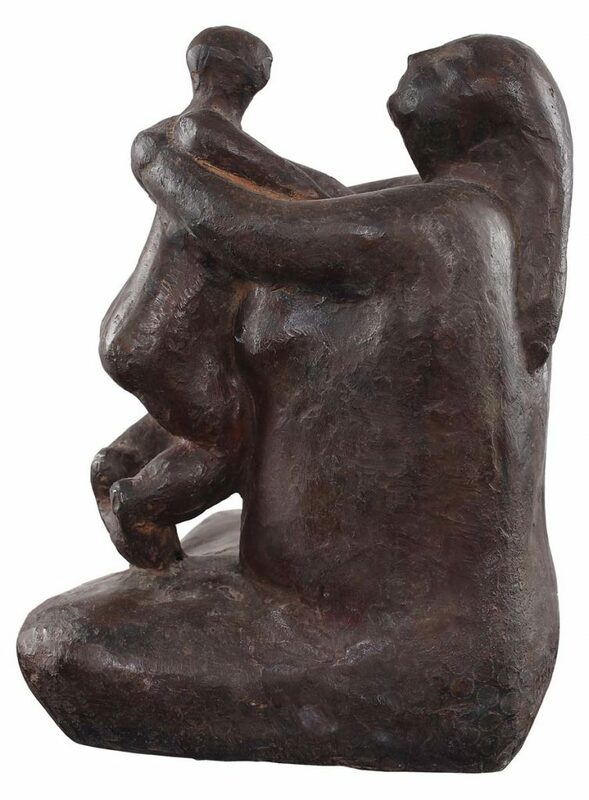 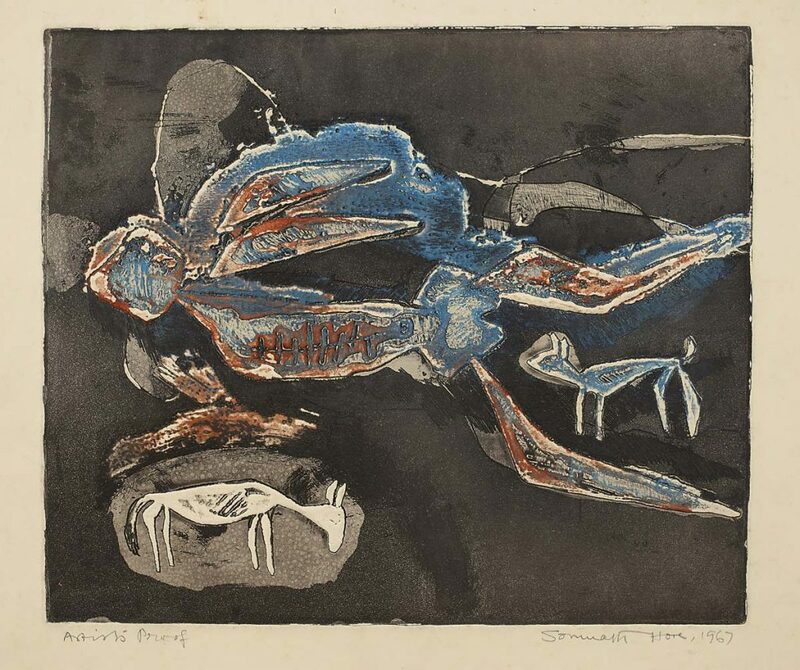 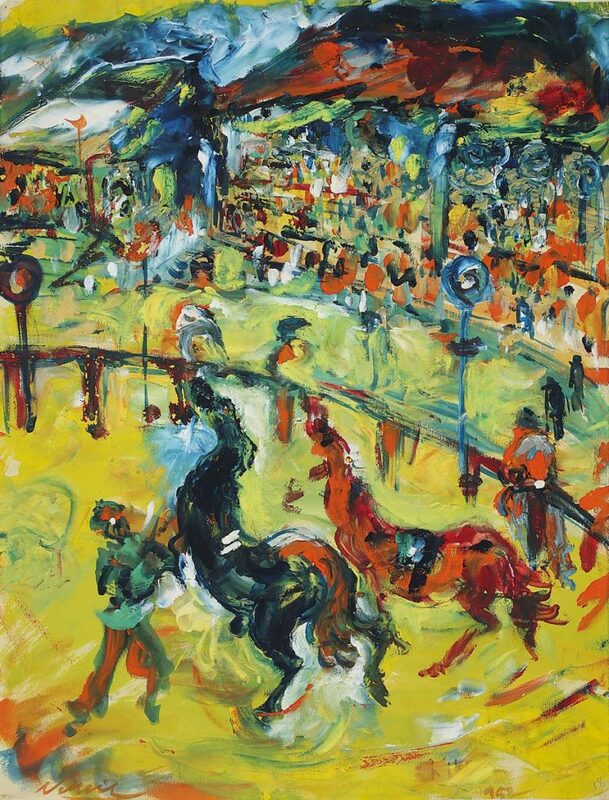 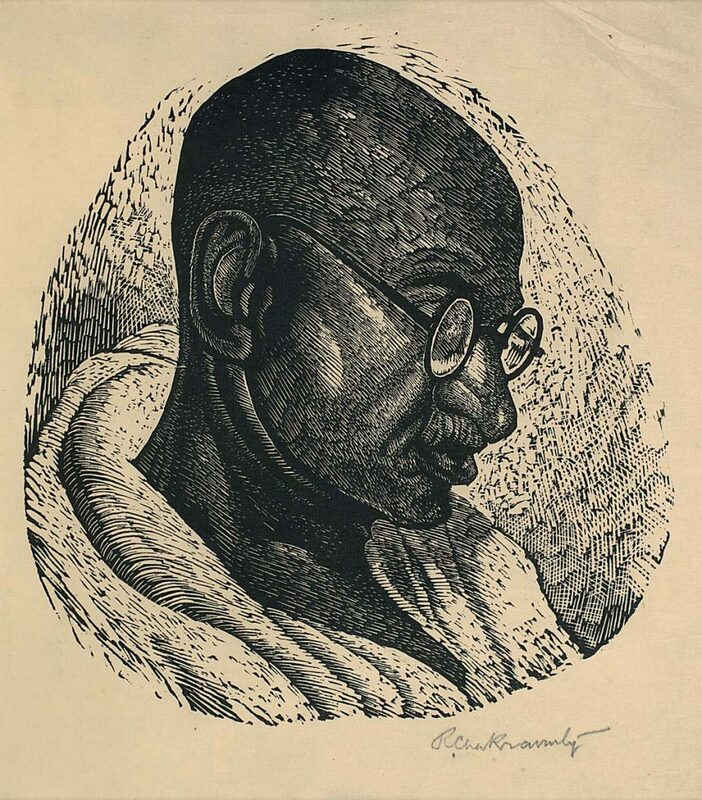 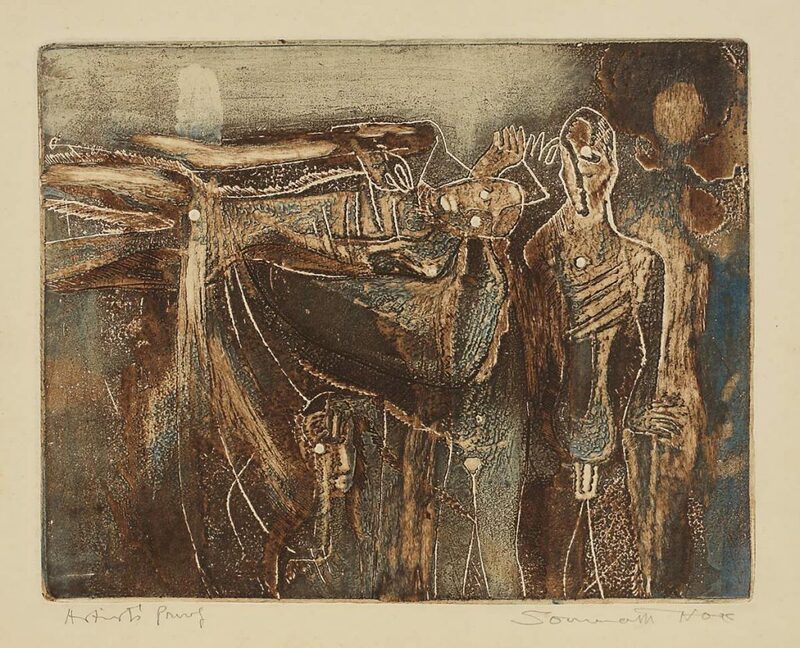 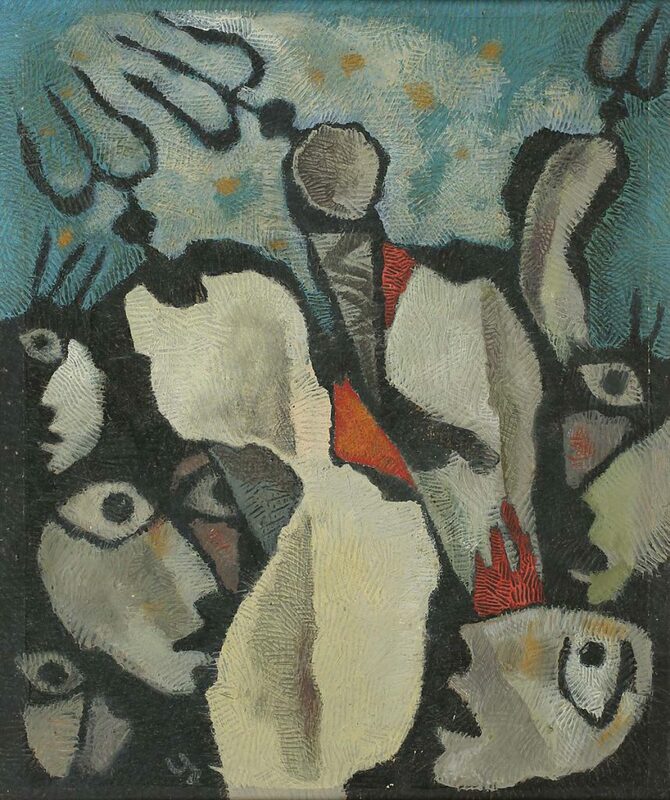 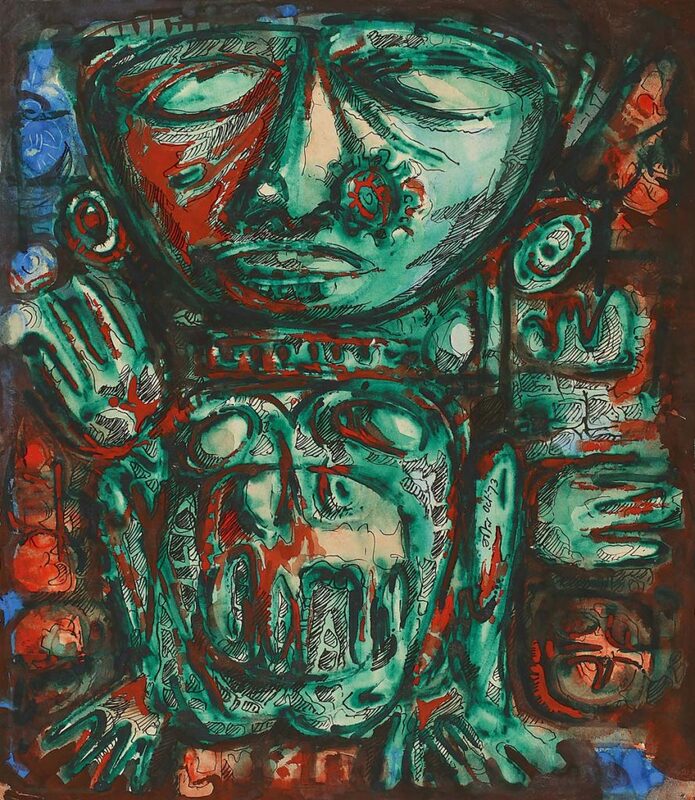 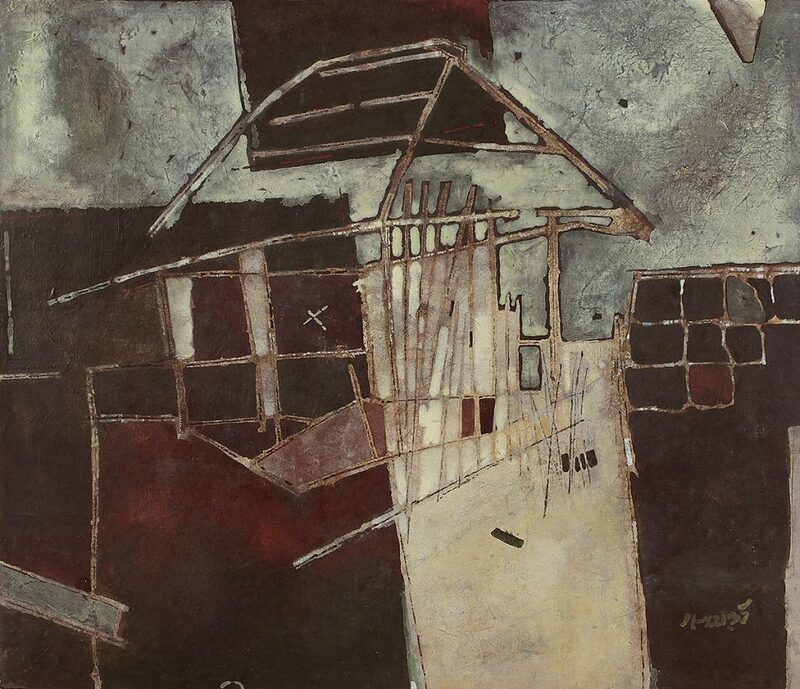 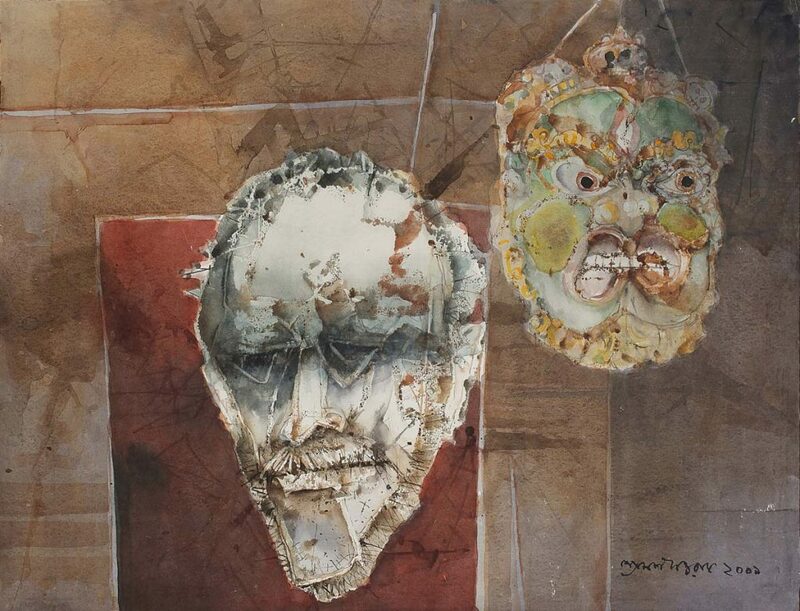 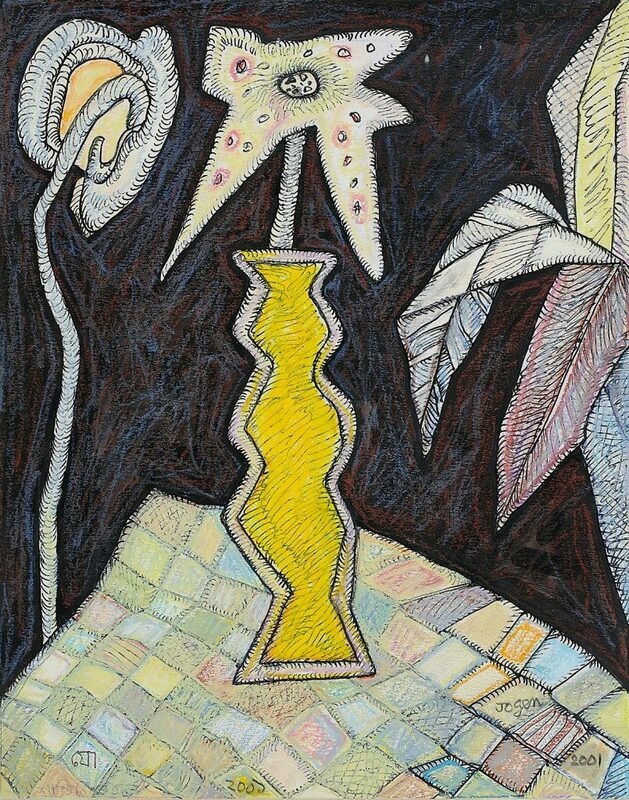 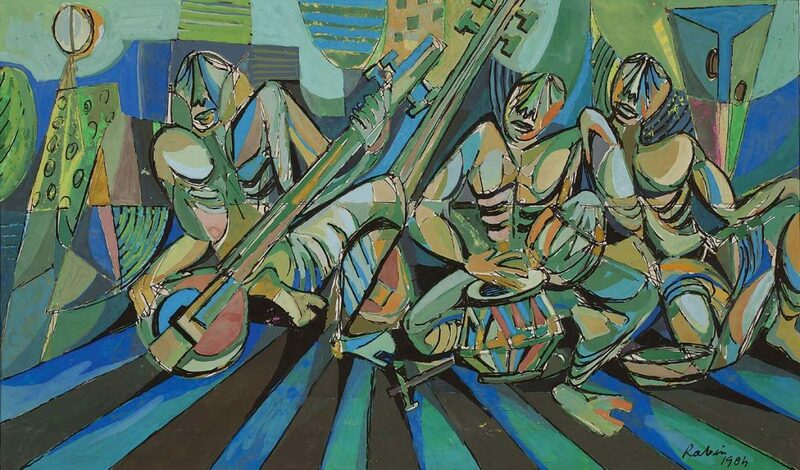 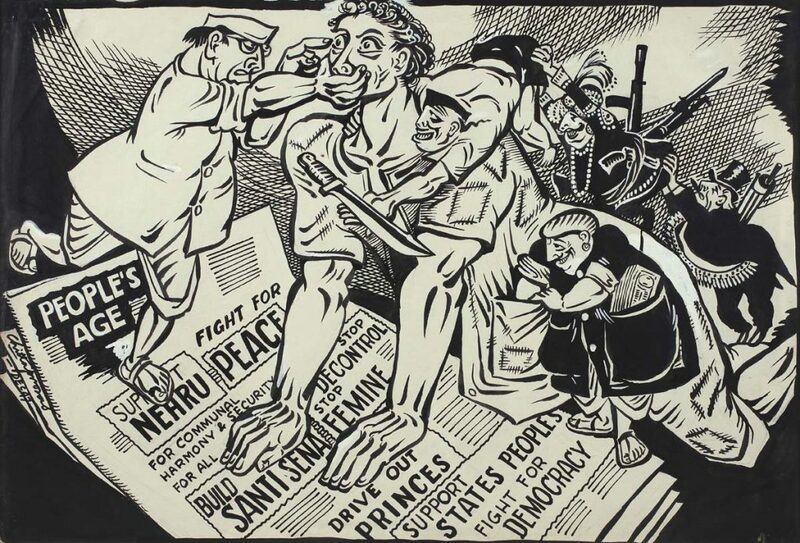 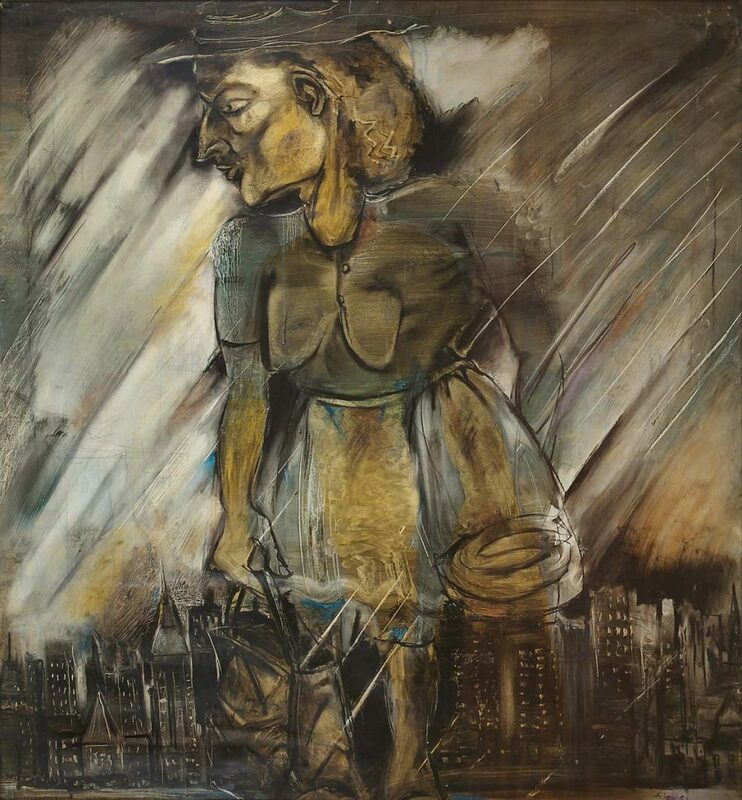 These modernist masters are featured, with names as Somnath Hore, Prodosh Das Gupta, Chittaprosad, Rabin Mondal, Bikash Bhattacharjee, Jogen Chowdhury, Nikhil Biswas, Bijan Choudhary, Nirode Majumdar, B. C. Sanyal, Gopal Sanyal, Meera Mukherjee, Sankho Chaudhuri, Chintamoni Kar and others, as well as those claiming allegiance to an older Bengal order, such as Bireswar Sen and Biren De.